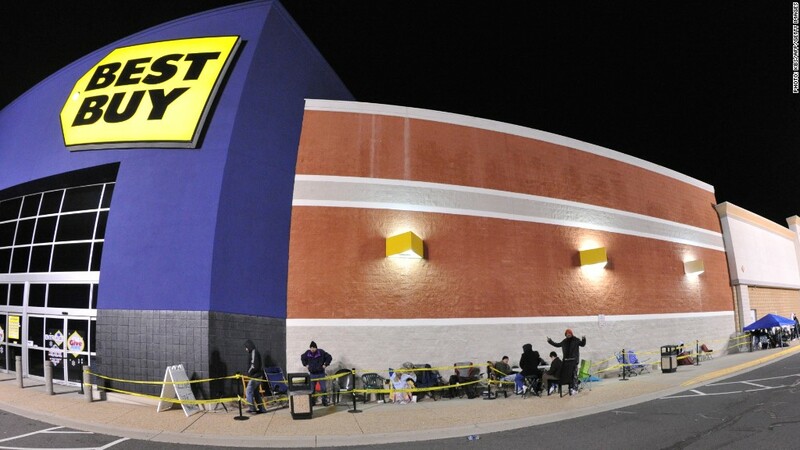 Best Buy's turnaround is gathering pace. The troubled electronics retailer is pulling the plug on its European business after just five years, selling out to joint venture partner Carphone Warehouse for about $775 million in cash and shares. Best Buy (BBY), which has been battling to stem the loss of sales to online retailers such as Amazon (AMZN), said the move would simplify its business, improve the group's return on capital and strengthen its balance sheet. Best Buy will report the results of the joint venture in discontinued operations with effect from the current quarter, and take a charge of about $200 million. The deal is expected to close by the end of June this year. The European joint venture operates some 2,400 stores in eight countries and was projected to generate revenues of $5.5 billion to $5.6 billion in the current fiscal year. Its contribution to Best Buy earnings was negligible. "Each international market is different and the sale of our European operations should not suggest any similar action in our other international businesses," said Best Buy CEO Hubert Joly in a statement. Carphone Warehouse, Europe's leading seller of mobile phones, said the decision to end the partnership came after both companies had begun increasingly to focus on business in their own regions. Best Buy, which closed some stores last year, said earlier this month it had teamed up with Samsung to open boutique shops in the U.S. By May, 900 Best Buy and Best Buy Mobile stores will house Samsung Experience shops, showcasing the Korean giant's full range of products.